13 octobre 2016 in Paris, France. 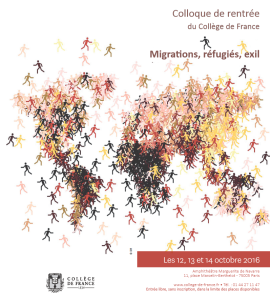 On the occasion of the conference “Migration, refugees, exile” of the College de France, Thierry Mandon, Secretary of State for Higher Education and Research, announced October 13, 2016 the launch of a program which supports researchers who are restricted or persecuted. A fund of one million euros to help institutions to host researchers in danger, be they “refugees as Syrian researchers” or “persecuted in their country, at Europe front doors” will be start up in 2017. More information (only available in French).